The genetic genealogy community has called it our best friend. It’s given us comfort when we’ve been challenged or attacked. It’s given us cover when we’ve been concerned — when our cousins have wondered if their test results would put them in danger. And now it’s at risk, through a back door most of us didn’t see coming. And the risk is coming from a bill now moving swiftly through Congress to allow employers to get access to that genetic information … and stripping away some of the protections we now enjoy … under the guise of what are called employee wellness programs. The wellness plans are popular with employers despite the almost total absence of evidence that they actually contribute to any improvements in employee health. They are usually managed by outside firms that are largely unregulated: they are not insurers, regulated by state insurance commissions; they are not medical providers, regulated by state or federal law. That puts them largely outside of the mandates that keep data protected from being shared or sold for commercial purposes. The proposed bill, H.R. 1313, allows employers to penalize employees who don’t fully participate in the wellness plans up to 50% of the costs of employer-provided insurance. And to fully participate an employee has to hand over the kind of information that GINA has said can’t be required, can’t be used, can’t be considered by an employer. That includes results of DNA tests by the employee… and information and results of tests by family members. None of which can be required or even requested now. Now, in theory, wellness plans are voluntary. No employee has to participate. But when an employer can charge an employee up to half of the cost of insurance if the employee doesn’t go along, the notion of voluntariness pretty much goes out the window. A key component of ADA (the Americans with Disabilities Act) and GINA is that they prevent workers and their families from being coerced into sharing sensitive medical or genetic information with their employer. For GINA, genetic information encompasses not only employees’ genetic test results but also their family medical histories. H.R.1313 would effectively repeal these protections by allowing employers to ask employees invasive questions about their and their families’ health, including genetic tests they, their spouses, and their children may have undergone. GINA’s requirement that employees’ genetic information collected through a workplace wellness program only be shared with health care professionals would no longer apply. The bill would also allow employers to impose financial penalties of up to 30 percent of the total cost the employee’s health insurance on employees who choose to keep such information private. According to the Kaiser Family Foundation, the average annual premium for employer-sponsored family health coverage in 2016 was $18,142. Thus, for such a plan, a wellness program could charge employees an extra $5,443 in annual premiums if they choose not to share their genetic and health information. As genetic genealogists we often comfort our worried cousins with the GINA protections, reminding them that genetic test results can’t be used against them for insurance or employment purposes. But when not disclosing such information can cost them up to half of the cost of an insurance plan — with such plan costs estimated to be as much as $18,000 for a family — that assurance doesn’t mean nearly as much. In the absence of evidence that access to this sort of genetic information is really essential to keep people healthy on the job, it’s hard to see what the legitimate basis is for this bill, which seems to be kmoving forward at a fast clip. From a genetic privacy standpoint, this may very well be a game-changer for us all as we go forward. We’ve got to get rid of the Health Insurance component in healthcare altogether. This is a for profit run business. The financial profit is directly contrary to the Hippocratic Oath. No one should ever be denied healthcare on the basis of their ability to pay and prices should be according to the patients means; this is simply Humane. I will bet a million bucks this does not affect the people passing the bill. Their health care is provided free of charge by the rest of us. Just for accuracy purposes, Congress and it’s staff have to participate in the ACA marketplaces and while they get a subsidy towards their plans, it is not at all free. The only ones who do not have health insurance deductions taken fro their paychecks are not getting healthcare through their employer. But the question of whether the government as an employer can exempt itself from GINA isn’t that clear. Would need to examine the statutes setting up the FEHB program and case law on the government as an employer to see how things would settle out. The only genetic test I have taken so far is just for genealogy. Are the employers going to pay for having this information “re-read” for medical purposes?? Would any bodily fluid sample you give (blood, saliva, etc) to a lab for medical tests be secure from genetic testing without your permission? How would you know what’s been done with your sample? Henrietta??? And what about Medicare and Medicaid recipients? How can non-23andMe tests be used for medical purposes when they are not approved by the FDA as medical devices? While this proposed bill is still in committee, after reading it I have emailed my Representative stating my position in opposition to the bill. “Preventive medicine”, so to speak. The text version includes links to the bills referenced in the bill. The PDF version is easier to read and understand the implications. The “50%” of insurance premiums mentioned is not a penalty but an inducement to participation as described in the proposed bill Other than that, this bill is written in such a way as to easily mislead the reader, and is downright scary in the access to information it could potentially give an employer. In other times, I’d not give it a flea’s chance on an elephant, but in these times? Given that it was introduced and sponsored by 3 Republicans and liberally uses the phrase “Notwithstanding any other provision of law”, this is one to nip in the bud. It affects not only genetic privacy, but other kinds of medical privacy as well (despite a nod to voluntary participation), and it can affect the privacy of family members who may also share a similar medical condition. While this kind of information is legitimate for patients to share with their physicians and other medical providers, the employer has no business being involved. Period. I don’t think this bill will fly, but these days you never know. What I find highly ironic is that it opens with wording that implies that this bill supports the intent of Congress when it passed the Affordable Care Act. Baloney. “Health” is freedom from disease and debility. “Wellness” in it’s late 20thC sense is an add-on – bringing one’s being towards an optimum. While these two words come from the same root, these days “wellness” tends to be undefined and used to mean whatever the user chooses, and that may differ from an advertising spiel to a court of law. I find a useful tool is to replace every mention of “wellness” with “snake-oil” and re-evaluate my attitude to what is being said. Cynical? I’m batting close to 1000 on this one. Thomas Jefferson was right. We have let that monster known as “Corporate” out of the bag and it’s influence in Congress has changed the American way of life. If this bill passes, we have lost the privacy to our bodies, effectively killing the HIPPA act. I’m retired and pay for my own private health insurance. Years off from medicare. Though it does seem to concern me a bit who can get ahold of what if this Bill would pass; what next??? Thanks Cousin Judy! Would you mind if people sent this blog post or a link to it to our members of Congress? You never know, it might change a couple of minds. Feel free at any time to link to any post of mine, Eric. HIPAA is a crock. All it does is prevent one from finding a loved one after they disappear into medical care (hospital, nursing home, rehab etc.). We lost privacy when we started getting insurance coverage years ago. They can call 50% an inducement but that is what it would be to members of Congress – to a person with less income it is punitive. The statement that a family member’s DNA could be required bothered me. 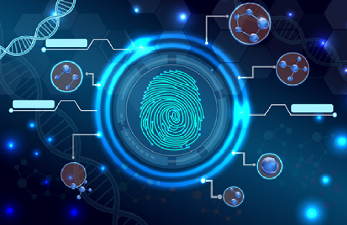 How could a company for whom one of my children works require that I provide that company with my DNA information or the DNA information of relatives who have tested for me? I, also, don’t see how an ancestry DNA test or a family tree DNA test would provide another party with medical information when it doesn’t provide me with medical information on myself. I’m not sure whether to be concerned about this bill or not. There can be some medical information in your genealogical DNA: mitochondrial disease info in your mtDNA results, for example, or evidence that you carry a gene that’s been linked to some inheritable condition. That’s the real concern: who gets that information and what can they do with it? Great article. I sent my opinion to the Texas Congressmen. Where I work they take a cheek swab, they swear they are only checking for nicotine. You get a discount on your insurance for being nicotine free. I’d go back to HR or Employee Health and get that statement about “nicotine only” in writing! The test for nicotine is a urine test looking for the metabolite cotinine. I don’t know how reliable a cheek swab would be. Maybe cheaper then they would have to follow with a urine test for confirmation. I visited the Genetic Privacy and H.R.1313 link above. Malwarebytes warned me off that page as a High Risk of malware or other treat to my computer. Just thought you would like to know and let them know to have their IT guys check it out. No alerts from my antivirus program at all, so it may just have been a momentary glitch — or an overactive think from Malwarebytes. The site is fine. So they found nicotine in my swab and want me to change insurance page to a smoker…is that what this is about? It’s ironic that this proposal originates from a geographic area where people consistently voice their opposition to “nannyism,” because it has nannyism written all over it. If that weren’t bad enough, the legislation seeks to accomplish these goals by allowing employers and insurance companies to invade not only the privacy of the employees and their immediate families, but also the privacy of much more distant genetic relatives who have no relationship to the “wellness” program involved. Reminiscent of Henry Ford, John Wanamaker, Dyott and others. Nothing new under the sun.